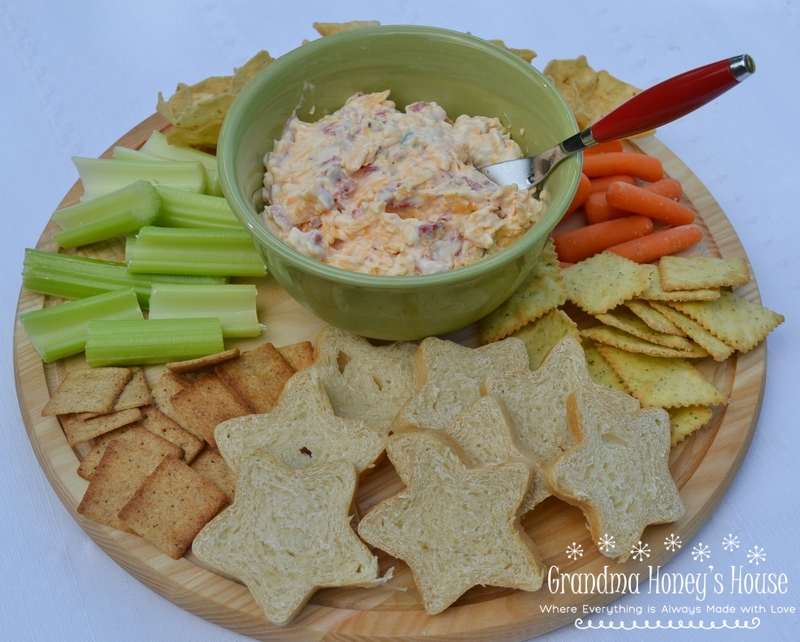 This Spicy Pimento Cheese-Bacon Spread is a creamy spread made with sharp cheddar cheese, bacon, pimentos, and jalapenos for that kick of heat. 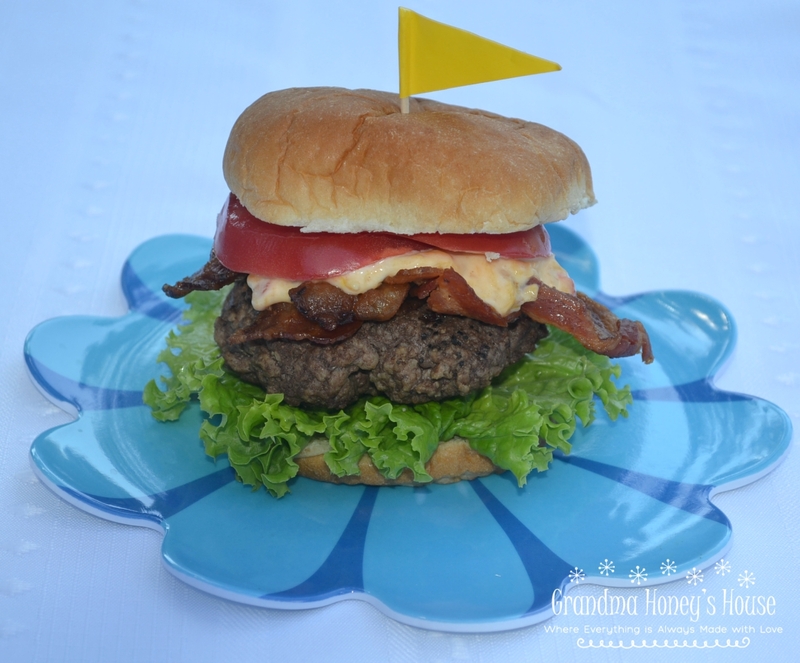 This recipe can be used in so many dishes, from appetizers to burgers. I have made this for so many parties. In the picture above, I placed some in a dish and surrounded it with crackers, breads and fresh veggies. 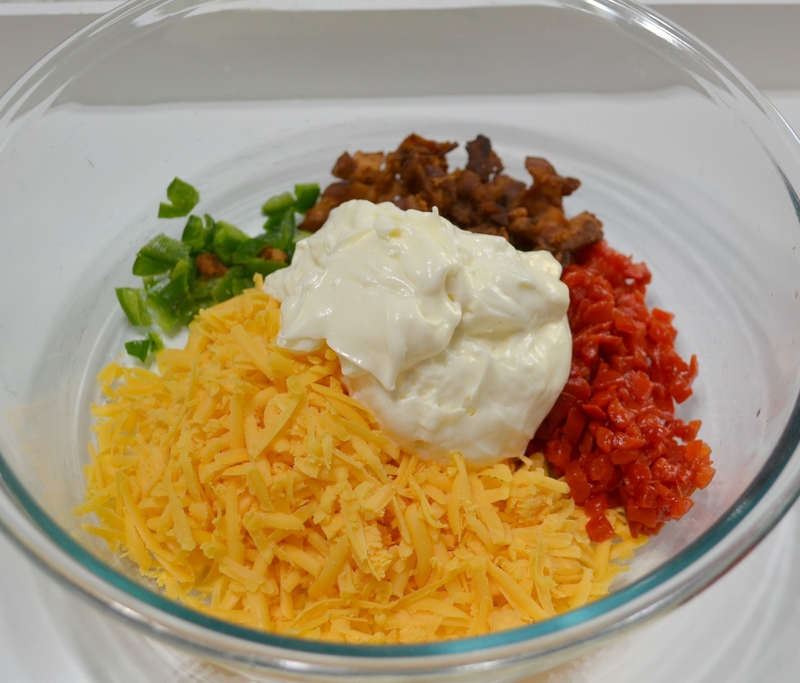 Start by placing the ingredients together in a large mixing bowl. Combine well by using an electric mixer, or stirring by hand. Place in a serving dish, cover and refrigerate until ready to serve. 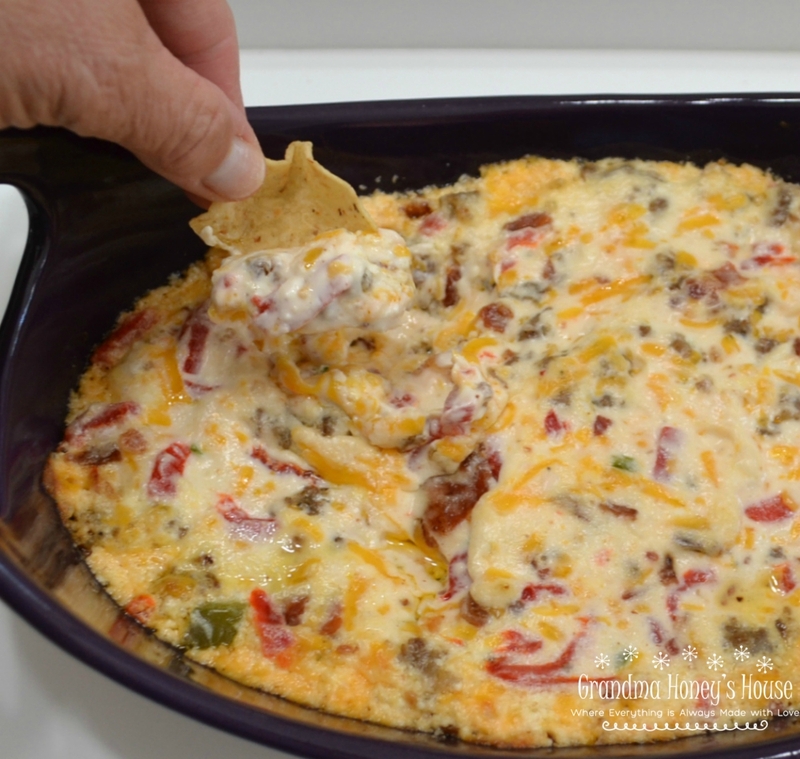 One of our favorite recipes to share at a tailgate party is the Hot Pimento Sausage Dip that I have previously shared. It is a variation of the original recipe. Some other ways to use the basic Spicy Pimento Cheese-Bacon Spread is on bread as a grilled cheese sandwich or a ham and pimento panini. I tried it this summer on a burger and it was so good. It tasted like it was melting in my mouth. Once you try this recipe, you will think of so many ways to enjoy it. 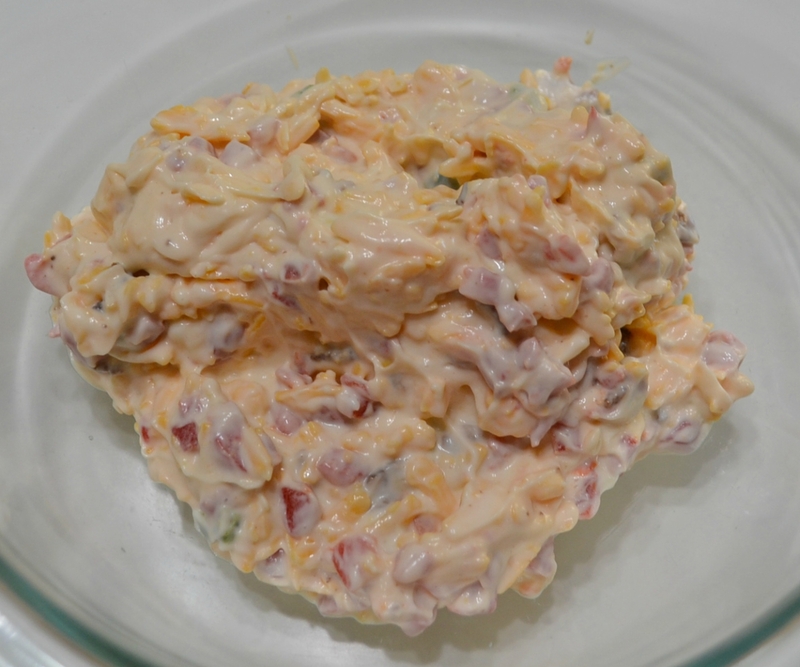 Place the bacon, shredded cheese, pimentos, jalapenos, and mayonnaise in a large mixing bowl. Stir to combine all ingredients well. May use electric mixer. Start with 1 cup of mayonnaise and add more if mixture seems to thick. Place in serving dish, cover, and refrigerate until ready to serve. This recipe can easily be doubled. Hope you enjoy it.